Cordyline fruticosa, Ti plant, also known as the good luck plant, is an evergreen, flowering plant in the family Liliaceae, formerly treated in the families Agavaceae and Laxmanniaceae. It is a woody plant that grows up to 4 m tall, with leaves 30-60 cm (rarely 75 cm) long and 5-10 cm wide at the top of a woody stem. There were many uses for the ti plant in old Hawai’i. The boiled roots were brewed into a potent liquor known as ‘okolehao. The large, sweet starchy roots were baked and eaten as a dessert. This versatile plant also had many medicinal uses, either alone or as a wrapping for other herbs needing to be steamed or boiled. The ti leaves were wrapped around warm stones to serve as hot packs, used in poultices and applied to fevered brows. A drink from boiled green ti leaves were used to aid nerve and muscle relaxation. Steam from boiled young shoots and leaves made an effective decongestant. The pleasantly fragrant flowers were also used for asthma. 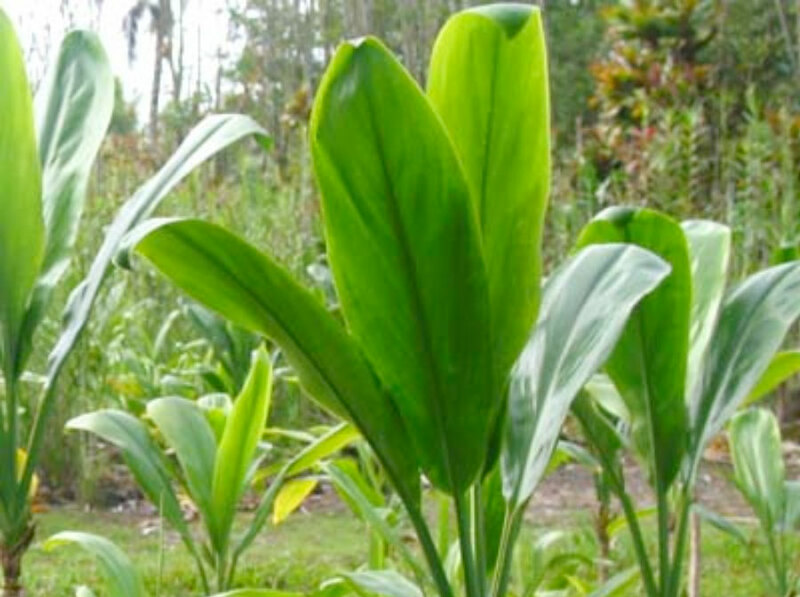 Besides its use in healing practices, the large ti leaves became roof thatching, wrappings for cooking food, plates, cups, fishing lures on hukilau nets, woven into sandals, hula skirts, leis and rain capes.